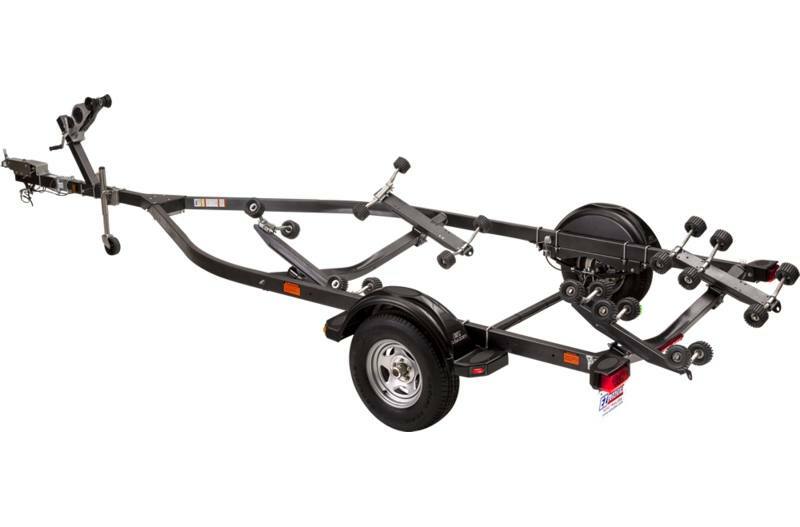 Make launching and loading a little easier with an adjustable, roller trailer from EZ Loader. 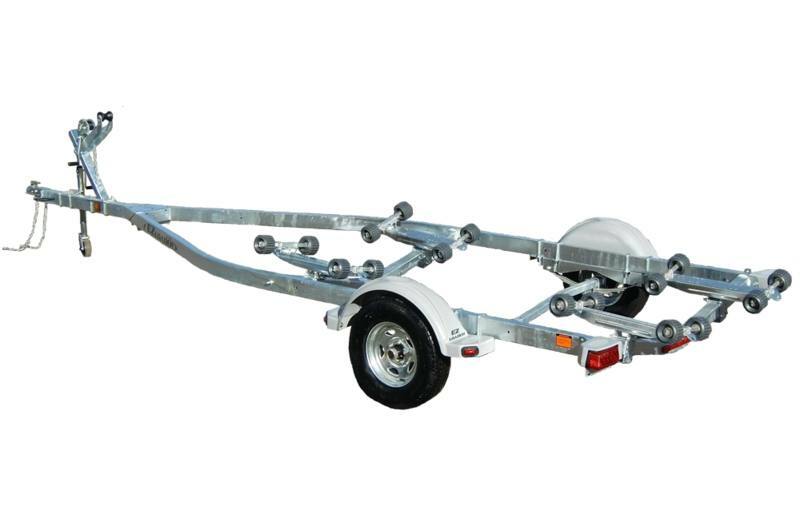 We offer a huge selection of roller trailers in various styles and finishes. 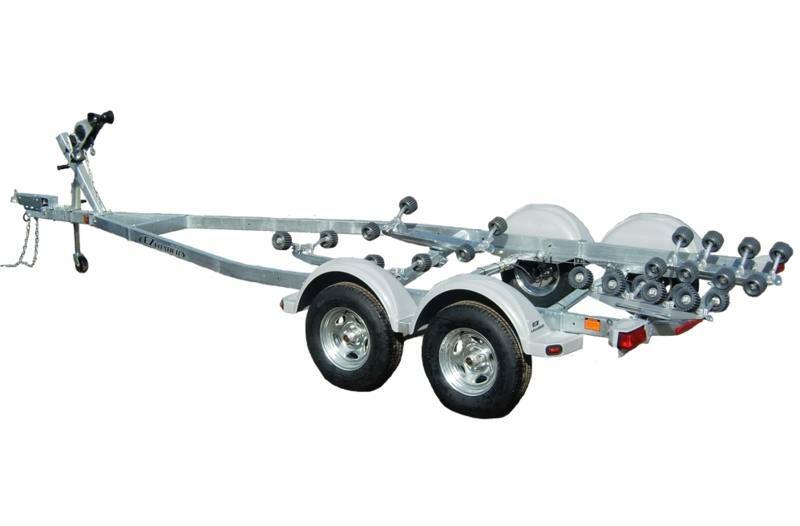 Those choosing to go with an EZ Loader adjustable roller trailer you won't be disappointed with EZ Loader's patented, self-adjusting roller system with pivoting/tilting rear cross members. 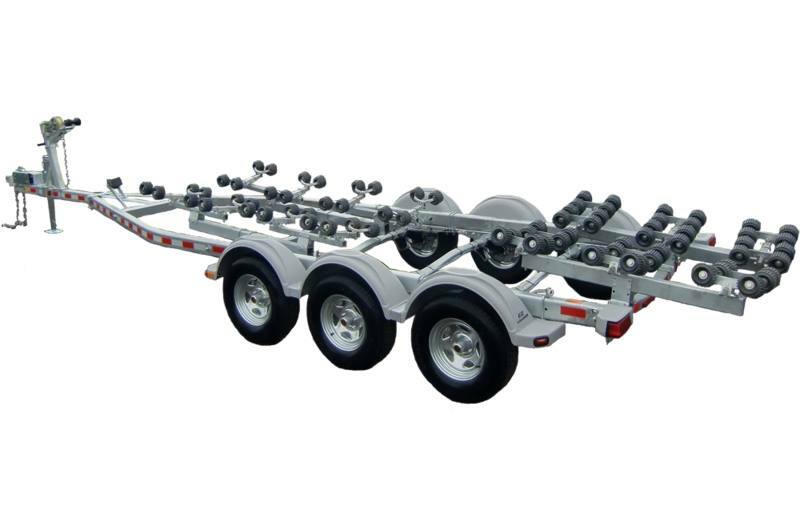 This patented roller system allows for an EZ loading experience that is second to none. Approx. Width Between Fenders: 75 in. Approx. Overall Width: 90 in. Approx. 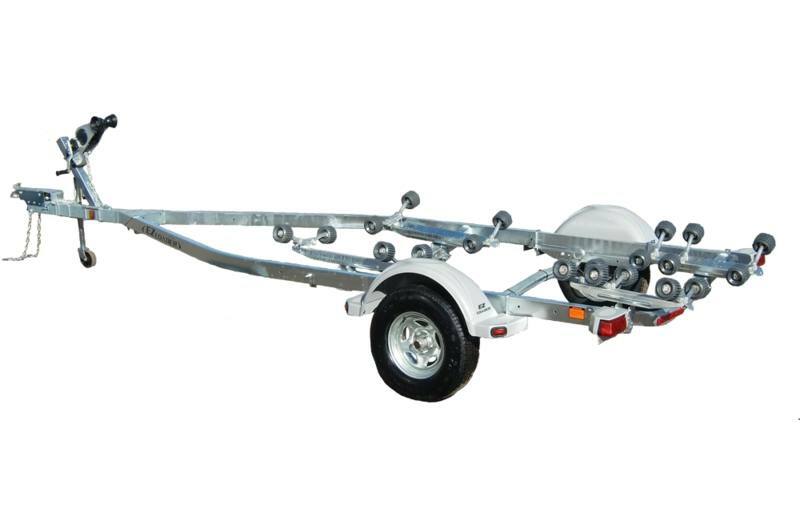 Overall Length: 19.4 ft.
Approx. Shipping Weight: 596 lb.